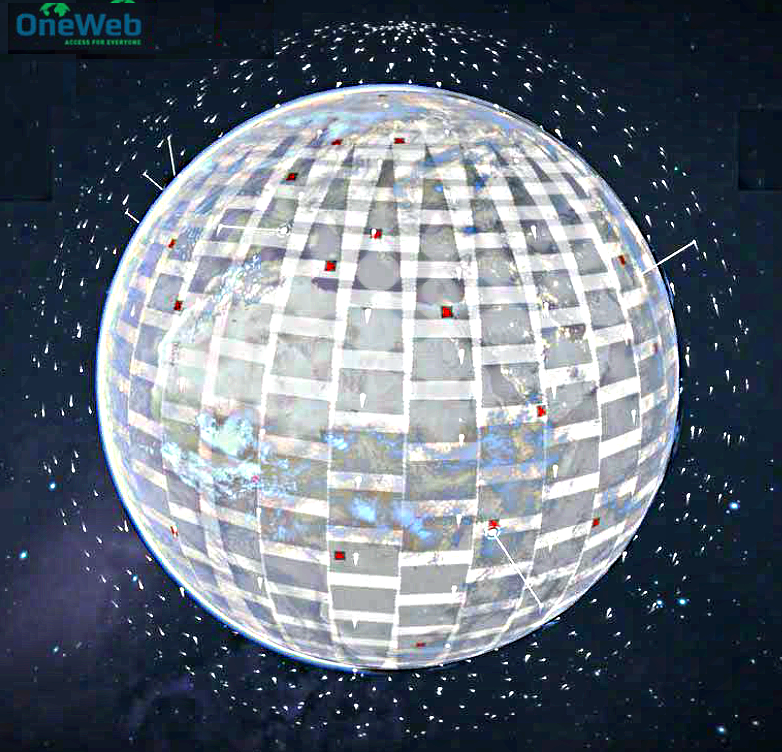 The OneWeb mission is to bridge the digital divide globally by 2027. Whoever gets the most data wins. Global prices will vary, making connectivity affordable in developing nations. SpaceX and OneWeb are formidable, experienced competitors in a race to become global Internet service providers using satellite constellations -- routers in space. I posted a status report on SpaceX last week, now let's look at OneWeb. OneWeb founder and executive chairman Greg Wyler has extensive experience with networking in developing nations. In 2003 his company, Terracom, signed a contract to connect Rwandan schools, government institutions, and homes. Terracom failed to meet their goal, and the difficulty of dealing with terrestrial infrastructure led Wyler to focus on satellite connectivity. In 2007, he founded O3b Networks (Other 3 billion), which today provides high-speed connectivity to Internet service providers and phone companies using a constellation of 12 satellites orbiting at 8,012 km above the equator. (The geosynchronous satellites used for TV transmission and Internet access in remote areas orbit 35,786 km above the equator). In spite of its name, O3b was not going to connect the entire world and Wyler founded OneWeb in 2012, with the mission of bridging the digital divide, which he hopes to do by 2027. OneWeb and SpaceX have the same goal, but their organizations are dissimilar. SpaceX is integrated -- building the rockets, satellites and ground stations themselves -- while OneWeb has partners that bring skills and funds to the project. For example, Qualcomm will design and supply communication chips and Airbus will manufacture satellites. OneWeb also has a symbiotic relationship with Softbank, their largest investor. SoftBank's Vision Fund has invested $1 billion in OneWeb and OneWeb plays a strategic role in SoftBank's vision of the future. SoftBank founder and CEO Masayoshi Son outlined his vision of the future in the keynote session ofth the 2017 SoftBank World conference. He believes the information revolution will be driven by strong, general artificial intelligence (AI), therefore the key material asset for the information age will be AI training data -- "whoever gets the most data wins." Several Vision Fund investments focus on collecting that training data from Internet of things (IoT) devices. They have invested in ARM, which dominates the IoT and smartphone processor markets, Nvidia which makes processors used in AI, Boston Dynamics which is building intelligent robots and, you guessed it, OneWeb, which will link 1 trillion IoT devices to AI projects. They have priority rights to 3.55 GHz of globally harmonized spectrum for non-geostationary satellites. (They also have a technique for avoiding interference with geo-stationary satellites when over the equator). They will have 49 satellites in each of 18, 1,200 km orbital planes. With Airbus, they have devised a novel satellite manufacturing process that will allow mass production rather than hand building. Cost per satellite will be under $1 million and they will be able to produce three per day. They will connect both Internet gateways and end users. The first satellites will have a capacity of 595 Mbps, but that will increase to over 1 Gbps. (More on capacity below). Latency will be under 50 ms, making interactive applications like 5G mobile telephony, game playing and Web surfing possible. (You can see the entire keynote session with presentations by several Vision Fund companies (2:12:15) here or just Son's introduction, outlining his Vision Fund strategy (30:17) here). System capacity is a key variable. OneWeb claimed satellite throughput would be "up to" 7.5 Gbps in a June 2016 presentation to the ITU, but Wyler quoted much lower capacity in his Softbank talk. (I've asked OneWeb for clarification on this change, but have not received a reply. I will update this post if and when I do). That revised capacity estimate may explain Wyler's February 2017 statement that they had sold a considerable portion of the capacity of their planned constellation. The following month they filed an application with the FCC for an additional 720 satellites orbiting at 1,200 km and 1,280 orbiting at 8,500 km. The 720 satellite constellation application has been approved. I have no idea what their planned customer mix is. They will presumably serve relatively few Internet gateways, but those will require considerable bandwidth. End users like homes and schools will require less bandwidth, but there will be more of them. There will be large numbers of IoT devices, but they will require little bandwidth. Population densities also vary greatly -- between urban and rural areas, continents and islands and, in the extreme, ships at sea. 1 Gbps will go a lot further in Alaska than Bangladesh. OneWeb seems to be ahead of SpaceX's schedule. They plan to launch their first satellites in March 2018. (That will satisfy the ITU requirement that they are using their spectrum). They will begin offering service in Alaska in 2019 and hope to cover all of Alaska by the end of 2020. By 2025 they expect to have 1 billion subscribers and their mission is to eliminate the global digital divide by 2027. The Saudi Arabian Ministry of Communications and Information Technology (MCIT) and OneWeb have signed a memorandum of understanding to cooperate on rural connectivity. Greg Wyler, Founder and Executive Chairman of OneWeb, promised that “Starting in 2020, OneWeb will be able to deliver everyone in Saudi Arabia, regardless of their location, high-speed broadband at their home, office, or school." 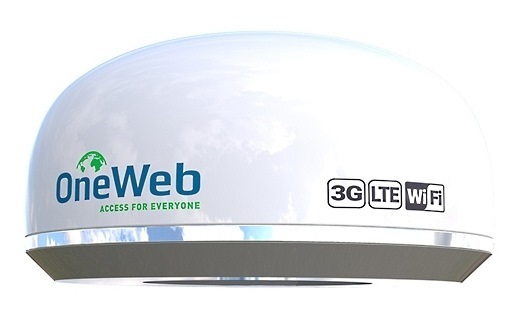 The Saudi National transformation plan calls for extending connectivity to nearly all rural areas and OneWeb is expected to help them reach 30% of rural homes. No details were released, but since this is a deal with the government, the strategy may be to use OneWeb for a national "backbone" and provide backhaul for local area networks rather than serving consumers directly. Note that OneWeb investor and partner Richard Branson is witnessing the signing. 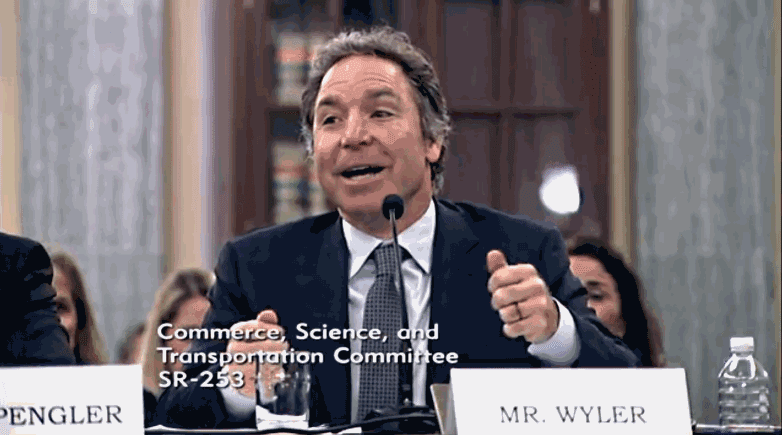 Greg Wyler, Founder and Executive Chairman of OneWeb, testified before the Senate Commerce, Science and Transportation Committee hearing on "The Commercial Satellite Industry: What’s Up and What’s on the Horizon." In his introductory remarks, Wyler said their schedule had slipped by two months and they will launch their first ten satellites next May. By 2019, they will be able to offer service throughout Alaska and will cover the entire US in 2020. Their first constellation will offer connections of up to 500 mbps and have a total capacity of 7 tbps. The second constellation, planned for 2021, will offer speeds up to 2.5 tbps and bring total capacity to 120 tbps. (High speeds will be possible in lightly populated regions). The third constellation, planned for 2013, will cover 1 billion potential consumers by 2025 and have a total capacity of 1,000 tbps. By 2027 they will cover the globe. Wyler said they and their partners will invest $30 billion and provide many high-paying jobs. They will partner with local ISPs and phone companies in marketing their service. He also spoke of space debris and reentry casualties. After the introductory remarks, the senators asked questions of the panelists. Mr. Wyler said the US is the technology leader among spacefaring nations and, if we take the lead in regulation, other nations and the International Telecommunication Union would follow. For example, he feels that a 125 km orbital altitude separation should be maintained between satellites and they should be limited to a five-year lifespan. Several senators asked about pricing and data caps and Mr. Wyler responded that their partner ISPs, not OneWeb, would set prices that were affordable in their regions -- we can expect a customer in a high-GDP nation to pay considerably more than a customer in a low-GDP nation. He also stressed the importance of safety, saying investments would dry up if there were a satellite collision and he said prolonged uncertainty over spectrum-sharing would also dampen investment. You can read Wyler's written testimony summarizing their plans, expected benefits and policy recommendations here or watch his oral testimony, beginning 1:02:50 of the archived video of the hearing. Representatives of OneWeb, Intelsat and ViaSat also testified, but, Boeing was noticeably absent. OneWeb is deepening ties with partners. Boeing is also developing ties to OneWeb. They will build satellites for O3b, a company Wyler founded. It has also been reported that Boeing wants to give one of its V-band satellite broadband FCC filings to SOM1101, a Wyler-controlled company. Boeing recently announced a rapid acceleration of their Mars exploration program. Might OneWeb team up with Boeing, which is developing a very large rocket for Mars missions, in order to compete with SpaceX and their large rocket, the BFR? Hughes has shipped a new satellite-Internet gateway to OneWeb. It is capable of making 10,000 handoffs per second -- times have changed since antennas moved to track satellites! (Hughes has contracted to deliver 40 of these gateways to OneWeb). Isotropic Systems has announced that they will be making a low-cost, consumer terminal that will be available to OneWeb in 2019. Note that they have developed a novel optical antenna technology. It looks like both Isotropic and Alcan Systems are shooting for the consumer edge-terminal market with novel technologies -- Alcan antennas utilize low-cost, mass-produced liquid crystal displays. SpaceX and OneWeb have different strategies. OneWeb is working with partners like Hughes and Isotropic Systems while SpaceX is vertically integrated; however, even if they are designing their own edge terminals, SpaceX may use components from companies like Isotropic and Alcan. 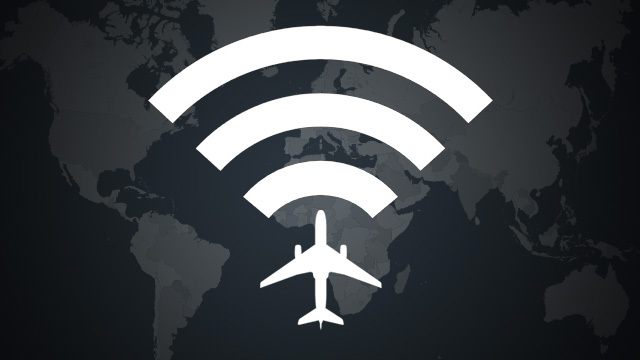 OneWeb has joined the Seamless Air Alliance, which is developing standards for in-flight Internet connectivity through low-Earth orbiting satellites to terrestrial Internet gateways. Early members are mobile network operators Sprint and Bharti Airtel, Delta Airlines and Airbus. Will SpaceX Starlink join the alliance? Will medium-Earth orbit satellite Internet service provider SES-networks (O3b)? An open standard for connectivity and billing will facilitate competition. OneWeb's Greg Wyler expects standard communication with LEO in-flight Internet service to disrupt the industry. He says they will be offering service in 2020 and there will be several competing terminal manufacturers at that time. OneWeb has made two major changes to their plans. Citing pressure from national regulators who insisted on being able to control the routes of all traffic coming into or out of their nations, OneWeb has dropped inter-satellite laser links from their design. Doing so will simplify satellite design and save money and weight, but will lead to increased latencies and require more terrestrial gateways. They have also decided to cut the number of satellites in their initial constellation from 900 to 600. After seeing better than expected results in their satellite ground tests, they concluded that they can achieve global coverage with only 600 satellites. The satellites will cost a little more than the initially budgeted $500,000 each, but this represents a significant overall cost reduction. They have also decided that their initial priority will be connecting boats and planes before focusing on the Internet for the masses. They have not decided whether or not the next 300 satellites will be the same design as the initial 600 or a next-generation, higher capacity design. Their first 10 satellites will launch next February and while company founder Greg Wyler said he hopes to begin service next year, that could slip to 2020. 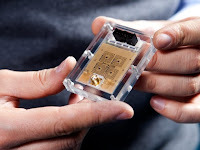 OneWeb founder Greg Wyler announced that his self-funded side project, Wafer LLC, has developed $15 antenna module, paving the way for user terminals priced between $200 and $300. (The antenna is only one component of the Earth station, but it has been a sticking point). Wyler said that “The entire antenna is less than an eighth inch thick -- you can have an extremely light, thin, low-power antenna that’s very cost effective and can be produced in large volumes.” Wyler said tests of prototypes showed 50 Mbps capacity per antenna "tile" and said multiple tiles could be combined. It is not clear how many tiles there are per antenna, but presumably, combing them would cut into the number of satellites that could be visible at any one time. SpaceX just asked the FCC for permission to deploy 1 million Earth stations and is slated to begin launching their constellation in 2019. They must be capable of mass producing cheap antennas too. OneWeb has pushed their launch date back to February 26 and the British Space Agency is providing them with 17 million pounds in funding. The article refers to OneWeb as UK-based -- they have operations in the US, but must be incorporated in the UK. It also describes LTE-based ground stations that could be deployed in emergencies as establishing 200-meter coverage circles. In February, a Russian Soyuz rocket launched a cluster of six OneWeb test satellites. Shortly after the launch, all the satellites were reported to be healthy. Once the testing is complete they plan 20 more Soyuz launches, each carrying up to 36 satellites. Virgin Orbit, which has a 39 mission contract, is also expected to begin launches this year. 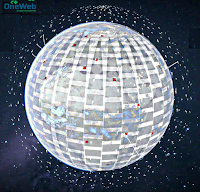 OneWeb plans to have 150 satellites in orbit by the end of this year, start regional service in 2020 with around 300 satellites and have global coverage in 2021 with 600 operating satellites and 48 spares in orbit. The test satellites were placed in a 1,000-kilometer orbit and they will climb to 1,200 kilometers during the 60-90 day test. Perhaps the two-altitude test is related to the conflicts over sub-1,200 km orbits and spectrum between OneWeb and SpaceX. (At one time, OneWeb founder Greg Wyler and SpaceX CEO Elon Musk planned to work together, but today they are said to be personally hostile in addition to being business competitors). 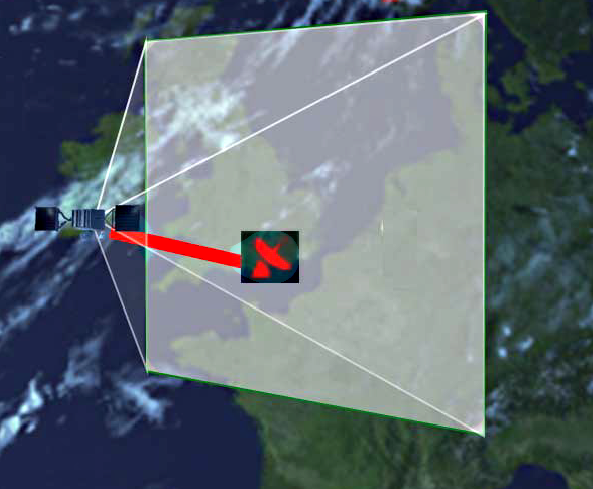 OneWeb, formerly known as WorldVu Satellites, was founded in Arlington, Virginia in the US but is now headquartered in London and the UK Space Agency has given them an £18 million grant to work on 5G cellular integration through the European Space Agency. OneWeb's mission is to bridge the digital divide by 2027, and moving its headquarters to London emphasizes its position as a global company. (Airbus, Virgin Orbit and Softbank are collaborators and investors in the OneWeb project). Ironically, both the US and England are distancing themselves from Europe at this time.